« Do we even need Salespeople? 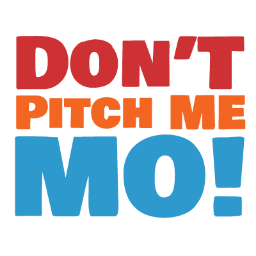 Last night I attended the excellent “Don’t Pitch Me Bro”event at the Wayra UK Academy, run by the multi-facetted 3beards (who also run Silicon Drinkabout and Digital Sizzle). You may have spotted it has been subtly retitled for Movember – you can support the Digital Sizzle team here. This is a ‘show and tell’ for start-ups in front of a friendly audience, where they can get some supportive feedback and suggestions and put their own questions out for quick research. The format works because the audience are pulling for the guys who have had the guts to ‘open the kimino’, as Will Hodson from Platter put it. No-one is trying to rip people apart to look good or do that “I’m out” nonsense from Dragon’s Den, everyone is trying to help. Although getting several forthright opinions that point in completely different directions may not everyone’s idea of ‘help’! First up was Platter (@platterhq), “Twitter for food blogging”, with an amusing and engaging presentation by Will Hodson that got things off to a great start. An interesting app that already has a devoted following among London foodies and getting good press coverage. Enthusiastically received, lots of ideas for development from the audience. I’m not a big foodie but it looked like fun to me and I can see the audience they are after. Already in the Wayra Academy and getting interest from investors, Platter look well set for the immediate future. Next was Instatune (@instatuneapp), seeking to socialise music discovery, recommendation and sharing. Only been going a short while, their web app is very much a MVP. Only it’s not the minimum, it’s got lots of functionality in it. Too much, IMHO, they need to reduce it to the essence. Still looking for clarity on their target customer segments and the proposition and searching for that crucial Product-Market fit. I liked their core idea of ‘music moments’ – sharing a picture on Instagram or Facebook with a track attached, which others can comment on and add further tracks – but it was a bit lost in the noise. After a natural break (to get more beer, obviously) we heard from Pixel Pin (@pixelpin), another resident at the Wayra Academy. They aim to change the way we log-on by replacing passwords with pictures. I know the guys and think this is a great idea, so I’m already biased! It’s very simple to show, although you wouldn’t necessarily have reached that conclusion from the live demo (how could anything go wrong?). You choose a picture and four touch points, when you log in you are presented with the picture and have to click on the four touch points in the correct sequence. Research has shown that we are able to remember many more sequences like this than alphanumeric passwords, and it also overcomes language, culture and accessibility issues. The demo worked in the end and it got the thumbs up from the crowd. Good point was made that this is disrupting user behaviour and so there may be some adoption issues but they already in a live trial that will surface these. Also have free giveaway for ‘Captcha’ like verification using pictures. I predict a bright future for these guys. Final slot went to HitMeUp (@hitmeupapp) in front of a slighty reduced crowd. This is an app for very local, very immediate merchant offers. It’s actually two apps, one for users and one for merchants. Both are super simple, stripped down to the minimal functionality and slick to use. They had started with a much bigger, multi-functioned ecommerce app but are now focused on this simple proposition (a lesson for the Instatune guys?). It enables independent merchants to put out short-term offers to a local audience, to sell more food, to fill a bar or club, that sort of thing. I think focus on building a critical mass and getting user adoption is the key for them. It was well liked by the audience, although one of them demonstrated it’s easer of use and a lack of security features by posting an offer for a free cow! It’s early stage, guys, come on! HitMeUp are running a launch event called “EatMeUp” over 3 days at the Red Market in Shoreditch, 8th-10th December, and lots of street food vendors and local shops will be taking part. If you are in the area, get the app and check it out. So, a fairly typical Don’t Pitch Me Bro. A very varied mixture of start-ups, loads of good ideas, helpful suggestions, offers of connections, interesting discussions and stimulating debate. Cranial exercise, with beer and pizza – what’s not to like? And, hopefully, a big helping hand given to the businesses presenting, who deserve a lot of respect for having the courage to get up there and show their stuff. This entry was posted in Uncategorized and tagged 3 Beards, Entrepreneur, Pitching, Product, Startups, Wayra. Bookmark the permalink. Post a comment or leave a trackback: Trackback URL.